Can you tell us about your label, Pannikin? 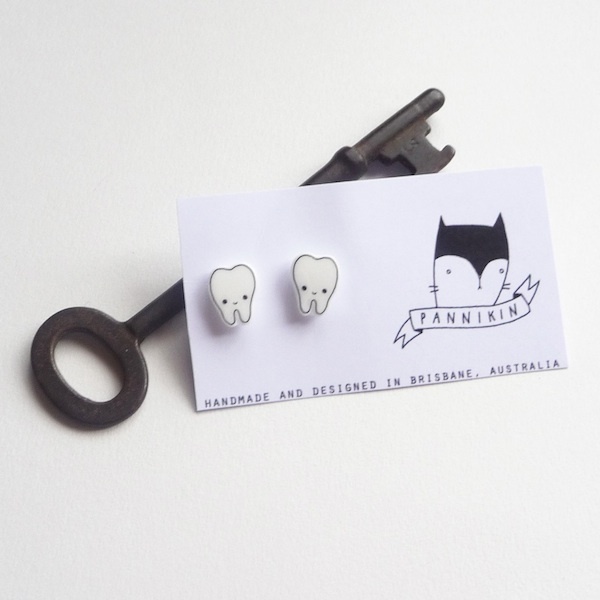 Pannikin is a Brisbane-based handmade jewellery and accessories label that merges my own illustrations with self-taught craft techniques. 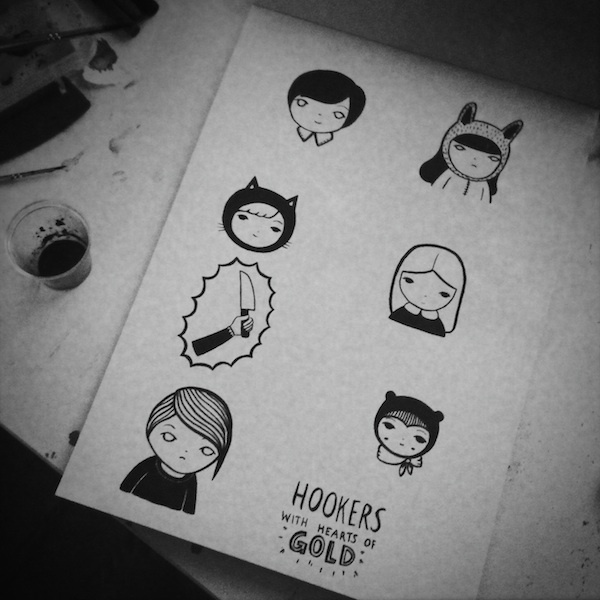 The result is a range of fun, wearable art for those who don’t take themselves (or life in general) too seriously. What is your background and when did you launch? I have never formally studied – all of my skills are either self taught through experimenting or passed along from friends and family. In the near future I plan to study Graphic Design to gain practical knowledge of digital design and improve my illustration work. 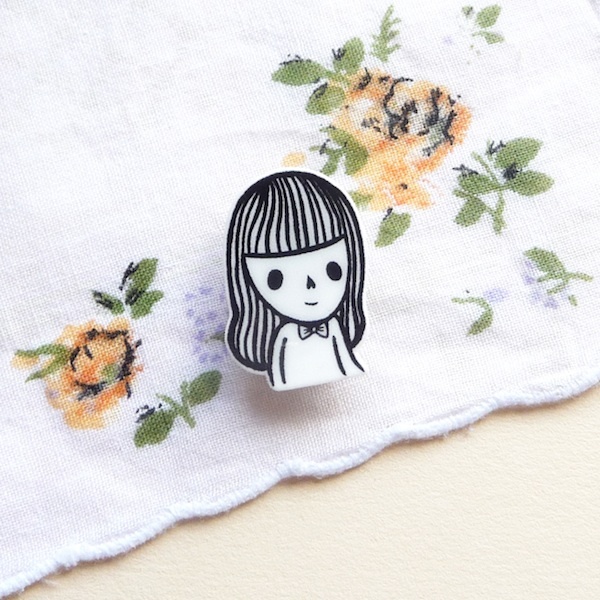 You have a very distinct illustrative style. What inspires your work? My inspirations are usually derived from daily routines, silly thoughts, conversations and a constant stream of film and music. I like to try and listen to music that ‘matches’ what I am currently working on, although I am partial to watching various television series while I work. 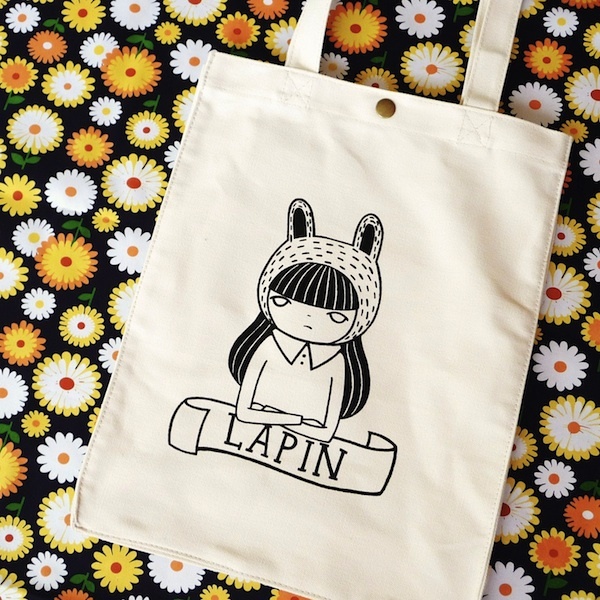 What do you love about having your own label & what lessons have you learnt since starting out? 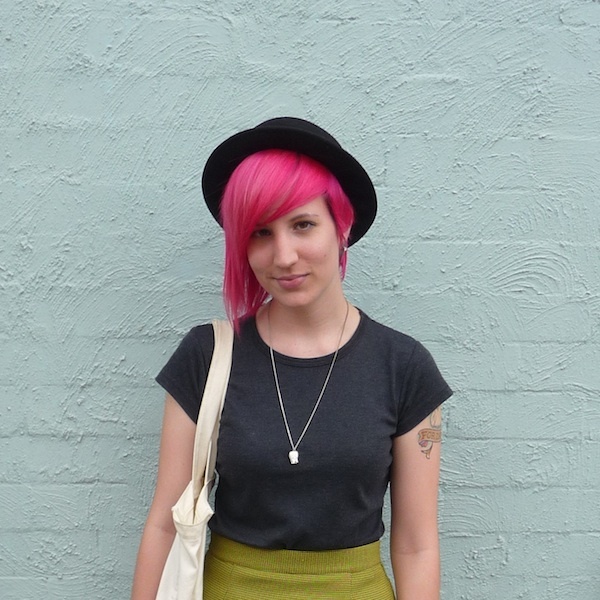 What do you love about Brisbane in Winter? Brisbane Winter’s aren’t very cold, but you can get away with wearing lots of layers, which to me means more creative outfits! I tend to ‘hibernate’ and will hole up in my studio to create for hours on end, stopping only to refill my cup of coffee or tea or to keep the cat from batting my supplies about the room. What exciting things can we see at the Brisbane FK markets coming up? Oooh! Many things! I have been working on streamlining my range and producing more illustration based work, so perhaps a few original artworks, prints and other mixed-media experiments. 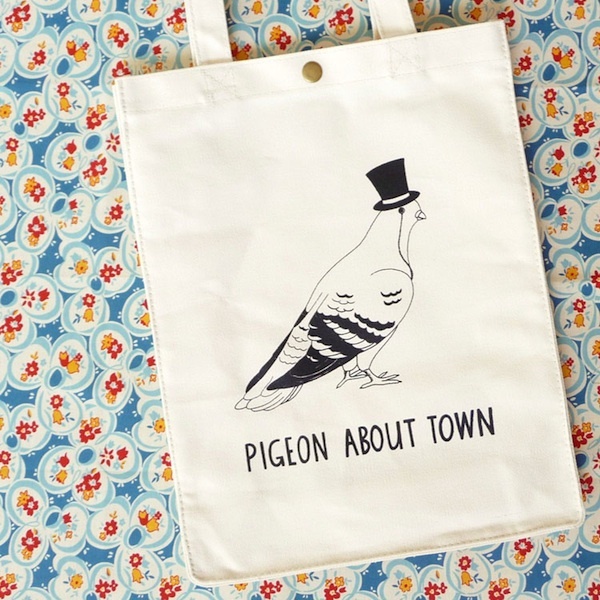 The ever-popular ‘Pigeon About Town’ tote bag will be making an appearance with a few new designs, so be sure to stop by and say hello! This interview is great, and I absolutely love those tooth studs! !